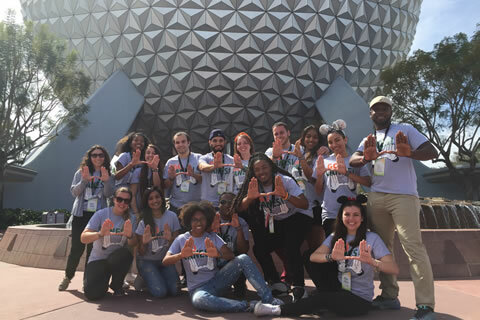 The Disney Leadership Institute focuses on the individual and team development of sixteen selected student leaders who aspire to expand their leadership potential and foster positive social change at the University of Miami. Spanning the Spring semester, through interactive workshops, small group discussions, and practical application, the Institute allows to students to connect with their peers and gain insight into time-tested Disney methods while embarking on their own leadership journey. Articulate Walt Disney's approach to developing and maintaining a creative team.